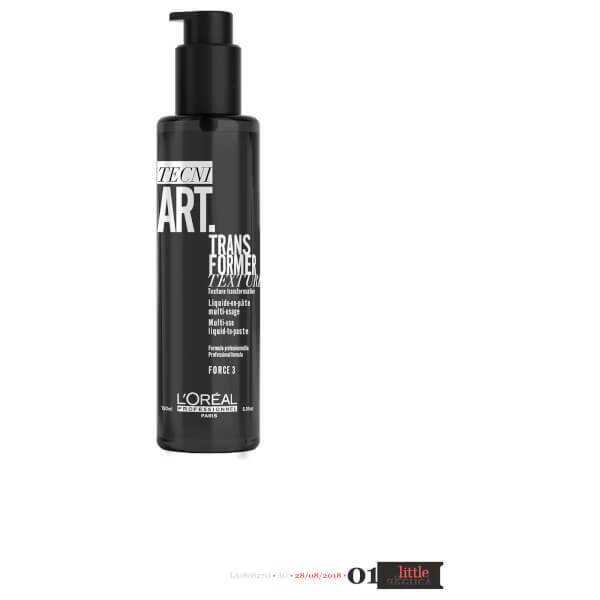 Create professional-grade hair looks with definition and control with the help of LOréal Professionnel Tecni.ART Transformer Lotion, the first multi-use hair styling formula that transforms in your hands from a liquid to a fibrous texturising paste. 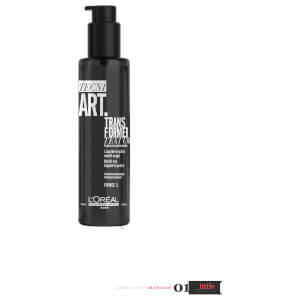 Super-versatile and perfect for achieving controlled and disciplined sleek blow-dries, defined short bobs, texturised lengths and bouncy curls with ease, the lightweight liquid-to-paste formula also provides thermo-protection to defend tresses from damage caused by harmful heat styling. Can be used on wet hair as a blowdry lotion to prep and protect. On dry hair, work through hands to get a fibrous paste for definition and texture. Further rub into hands to get a finishing wax paste.